Everyday at the nutrition clinic is hustle bustle. Even when we do Skype calls with parents we can feel the energy of these special children. Working with our dedicated team of nutritionists( currently numbering 50 plus) we represent a HIVE. Working with each other to cross specialise in medical cases. Learning and constantly pushing the boundaries of nutrition for THERAPEUTIC intervention or planing to change behaviours via FOOD. As a Clinical Biochemist, a food Biotechnologist and a Sports Nutritionist, Why did I get enamoured with SPECIAL CHILDREN? You see my journey started with the Paralympic athletes and my first case over a decade ago was with a girl who had DOWN’s Syndrome and a teenage athlete. It was this case that opened my eyes to the WONDERS of Planned Nutrition and that really had a profound impact on the development of a child. YES an athlete wins an Olympic medal, you are proud that you contributed but with a special child, YOU GET TEARS! 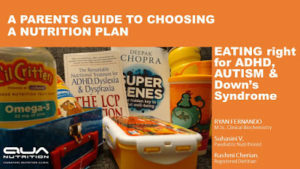 This profound impact on my life, has had me working with GIFTED and talented Dietitians and Nutritionists; where, we as a team approach a case and tear it down to BITE SIZE PORTIONS, on how we should treat each CHILD. 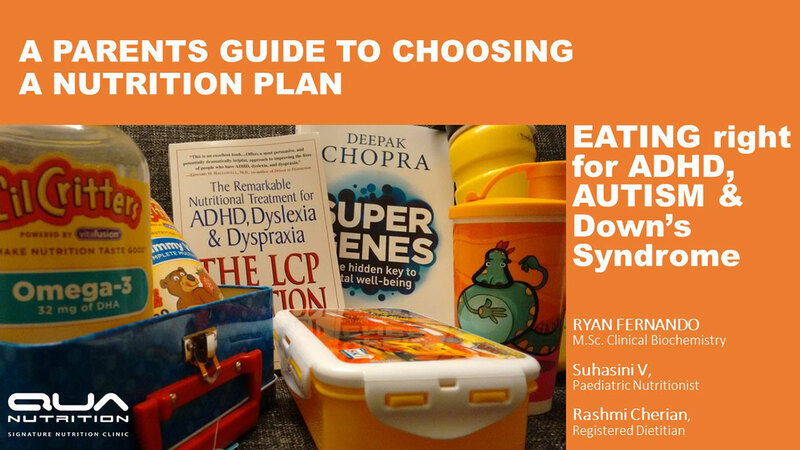 Whether it is ADHD, Dyslexia, Dyspraxia, AUTISM, DOWN”s, Wilsons Disease, Orthorexia, Hypotonia, Cushing’s Syndrome, Fibromyalgia, Dandy-Walker Syndrome, Irritable Bowel Syndrome, Graves, Crohns, lactose allergy or even Juvenile Diabetes, we have a customisable strategy. We take a KID, Ask for a Blood test. Ask for an Allergy Test, Ask for a Genetic Test. Ask for a heavy metals test. Ask for a Comprehensive stool analysis( from USA if possible) and then we sit with the parents to understand Culture and diet habits, likes and dislikes. We go behind closed doors over a 3-5 day period and get to pen down the best strategies,research latest studies and journals, call our International counterparts, then debate and finally agree to an outcome- A PRESCRIBED DIET & SUPPLEMENTATION PLAN. Many parents do come to us and say well GOOGLE says this and my doctor said this. Whilst we do respect the desire to acquire more knowledge, this DOES NOT REPRESENT a CLINICAL and customised approached for each child. SO GOOGLE DOES NOT TELL you neither does your DOCTOR tell you that TOMATOES may not be good for your ADHD child as they make them GIGGLE a LOT! I get angry when I meet parents who say they can do it by referring to research. Why don’t you build your own house, service your own car and fix your broken down washing machine yourself. When it comes to USING food as a TOOL to treat a condition you need a specialist NUTRITIONIST! WE KNOW WE CHANGE LIVES. If you want to know more about how we work, please call Devika on 9743430000 or email her at devika@quanutrition.com. We work with Indian Kids in India and across the world. YOU ONLY need a Phone line to work with us.